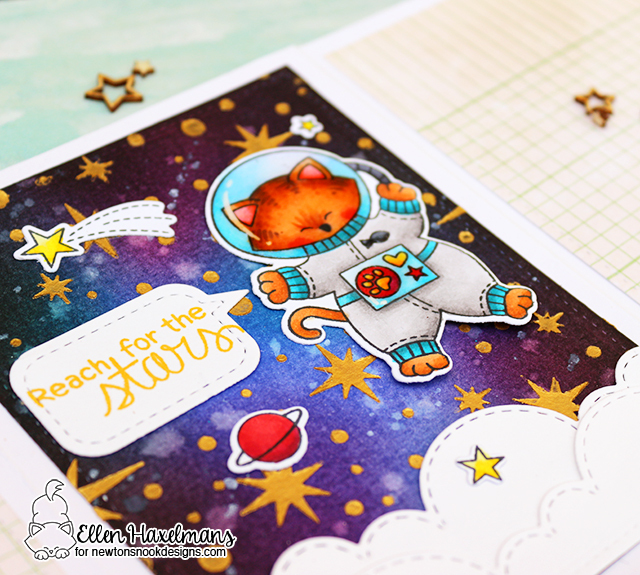 It's the last day of the July Newton's Nook Design release and we're ending off with another awesome set; "Cosmic Newton". I thought all these images where so pretty so I decided to make a trifold card than I could use every stamp on one card haha. * Het is de laatste dag van de juli Newton's Nook Design release en we eindigen met een andere geweldige set; "Cosmic Newton". Ik vond deze illustraties zo leuk, dus ik besloot een een kaartje te maken met 3 flappen, zodat ik alle stempels kon gebruiken op één kaart hihi. In front you see a cat peeking true the window and discovers pretty stars. If you open the first flap you see the spaceship and in this magical sky scene. As you maybe already know from my previous posts this week, this is made with a new stencil "Starfield". * Aan de voorkant zie je een kat die uit het raam kijkt en mooie sterren ontdekt. Als je de eerste flap opent, ziet je het ruimteschip en in het magische hemelbeeld. Zoals ke misschien al van mijn vorige berichten weet deze week, deze is gemaakt met een nieuwe stencil; "Starfield"
The last flap shows our space-cat while he is wondering around in space. I also really love the fact that the words stamps are just perfectly coordinating with each other. * De laatste flap laat onze space-cat zien die verwonderd door de ruimte zweeft. IIk vind het ook echt fijn dat de twee boodschappen bij elkaar passen en dus perfect voor een kaartje als deze. Tomorrow we have something fun coming from Newton's Nook Design and the release products will be in store too; stay tuned for these exciting things!! * Morgen hebben nog iets leuk dat Newton's Nook Design te bieden heeft en natuurlijk staan de nieuwe producten vanaf dan ook in de winkel; kom dus zeker nog eens piepen!! Would you like to win a $20 store credit to Newton’s Nook Designs? ONE lucky comment will be chosen from each reveal day to win! Here's how to win: Comment on the NND blog and Design Team blogs (see list below)! The winner will be chosen at random from the collective reveal posts. Make sure to check out each of their blogs and comment for your chance to win. You will not know which blog has been chosen so the more you comment on the better your chances are of winning! You have until Thursday July 14th at 9pm CST to comment -- winners will be announced on the blog post on Friday, July 15th. * Wilt je een $20 waardebon van de Newton’s Nook Designs winkel winnen? Elke dag van deze release word er ÉÉN gelukkige winnaar gekozen! 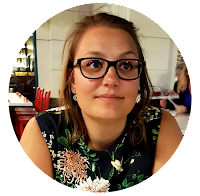 Hier is hoe om te winnen: Schrijf berichtjes op de NND blog en de Design Team blogs (zie onderstaande lijst)! De winnaar wordt willekeurig gekozen uit het collectief van berichten. Zorg ervoor om op elke blog een commentaar te schrijven voor je kans om te winnen. Je zult niet weten welke blog gekozen is om de winnaar uit te zoeken; dus hoe meer je schrijft hoe beter je kansen! Je hebt tot en met donderdag 14 juli om 9 uur CST om bercihtjes te schrijven - de winnaars worden bekend gemaakt op de Newton's Nook blog post op vrijdag 15 juli. WOW WOW WOW!!!! Your card is absolutely incredible! I just love how you incorporated two different gorgeous scenes in the same card. I am completely blown away by your talent. TFS. Oh so many surprises for our cute explorer kitty! Your cards are wonderful! Love your coloring (Yeah, I say that every time), and your backgrounds are amazing! These are adorable. Love the room scene created with your first card. Great colouring too. Wow! I though the card front was adorable and then I saw the inside. Stunning! Your card is absolutely amazing! 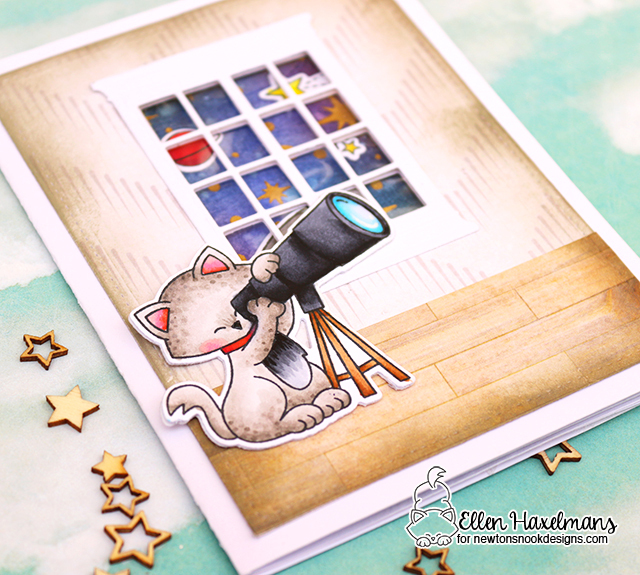 Love the kitty looking through the telescope, through the window and what a surprise when you open the card. Your first card is my favorite. All of the texture that you've created is marvelous! Such a cool card! I love all the details inside and out. What a great idea with a tri-fold. Really cute!! Genius! I love that it opens to that gorgeous sky scene!! 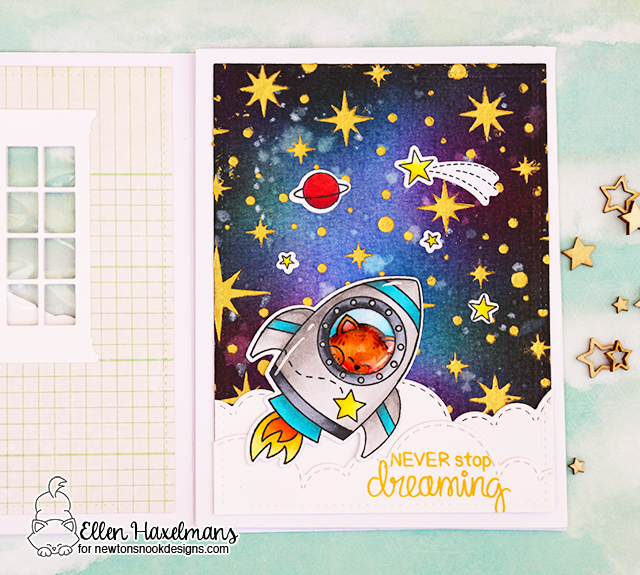 Oh Ellen, I have been positively drooling over your cards all week and have just been amazing at your skill level of coloring and creativity! More than just seeing each stamp is new each day, I have been so anxious to see what you've made! Just GORGEOUS!!!! All your cards are simply out of this galaxy!! Fab-u-lous - TFS! Love your pretty cool cards! I love the card with the window that is such a cool idea!! Fabulous cards. I really like the one with the cat and telescope by the window. Fun one, the first card is just amazing! These are both fabulous but the first one with the window really steals the show. Such an awesome design and colored so perfectly. Wow this card is simply amazing. Brilliant card design!! I love that window and the fun surprise inside. Love your attention to detail!!! So cute, your cards are amazing! Beautiful cards, all your designs are fantastic! Amazing! Wow! Thanks for sharing. Your cards are awesome ! Great coloring.